Travelling with express buses from and to Kuantan is now easier when you can your book bus tickets online. Even better, Utama Express now has joined to provide online bus ticket booking with BusOnlineTicket.com! Therefore, you can now book your Utama Express bus tickets from Kuantan to KL and more online in advance from our website. Utama Express is one of the most reputable and influential bus operators based in Kuantan. 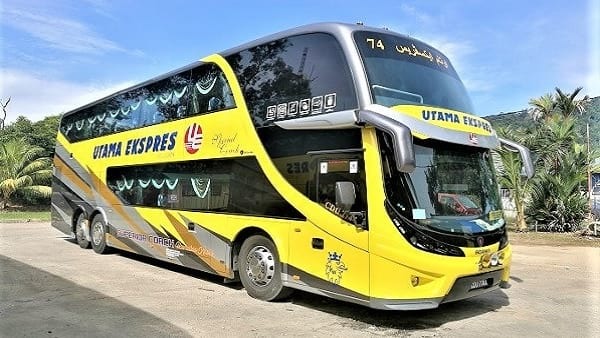 Established in 1978, Utama Express has been growing rapidly over the years and becoming one of best express bus service providers in Malaysia. 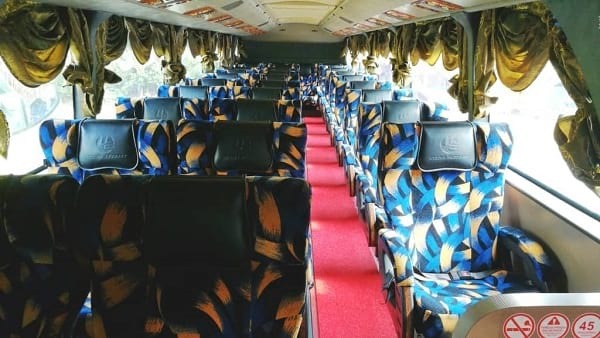 Popular bus routes by Utama Express include bus from Kuantan to Kuala Lumpur, Ipoh, Lumut and many more. There are two types of coaches owned by Utama Express; single-deck bus and double-deck bus. All the coaches are fully equipped with air-conditioner and spacious seats to ensure a comfortable journey for all passengers. Other amenities provided in Utama Express bus include USB charging port and DVD screen. Moreover, to ensure the safety of the passengers, Utama Express also installed GPS system and speed limiter for their coaches. Hence, passengers can travel safely and worry-free with Utama Express bus. You can check Utama Express schedule and ticket prices from our user-friendly booking portal. Online booking is easy with various options of payment gateway such as credit card, internet banking and 7-Eleven (in Klang Valley area only). So, waste no time and effortlessly book your Utama Express bus tickets online at BusOnlineTicket.com now!